So, yes, here’s my question for all of you cool writers: Are names integral to how you write a character, or are they merely dispensable? Another followup question: Are you actually good at making up exotic names? So, before I actually wrote the Line of Corruption, I sat for an entire hour, and thought about the title. The basic outline I had for the story was this: This chosen one kills a lot of people, and is condemned as a villain. His legacy is passed unto a mercenary. A bit exaggerated, perhaps, but it really isn’t very far off from the truth. For Radio Silence, I came up with the title when I was thinking about submitting it to Jukepop Serials. The reason why I was able to live with it not having a title is because I planned on it being a story written for fun. I’d just finished writing Line of Corruption, and I wanted to write something for no reason. Just took an idea and jumped off a cliff with it, basically. So, I’m going to tell you how I came up with the Line of Corruption, as well as Radio Silence. For Line of Corruption, I planned the Prologue out in my head. You see, the character Larik decides that being the Chosen One is really awful. And in order to atone for many of his sins, he passes on his consciousness unto his successor right before he is killed. I will be passed unto his or her consciousness, to never let this person cross the line such as I did. I will safeguard this person’s abilities until I see that this person – the wielder of my power – will be turned away from evil, and from corruption. Well, needless to say, I got attached to that title. But yes, that’s how I came up with the Line of Corruption. How I came up with Radio Silence is most likely a lot simpler. The thing about Radio Silence is that people are getting possessed. The only way the sheriff knows they’re possessed (aside from the whole attempted murder thing) is that stereos or radios suddenly begin to play a song. How do you guys and gals feel about titles? Can you start a story without them? If you can, do you obsessively try to come up with a new title every waking second? Tell me about it in the comments. Hope you like, follow, and comment. Hopefully, all three. Thanks for reading. In all honesty, the picture above is really quite appealing to me right now. But, I don’t think I’ll make a lot of progress into my career as a writer if I always look to that picture for advice. 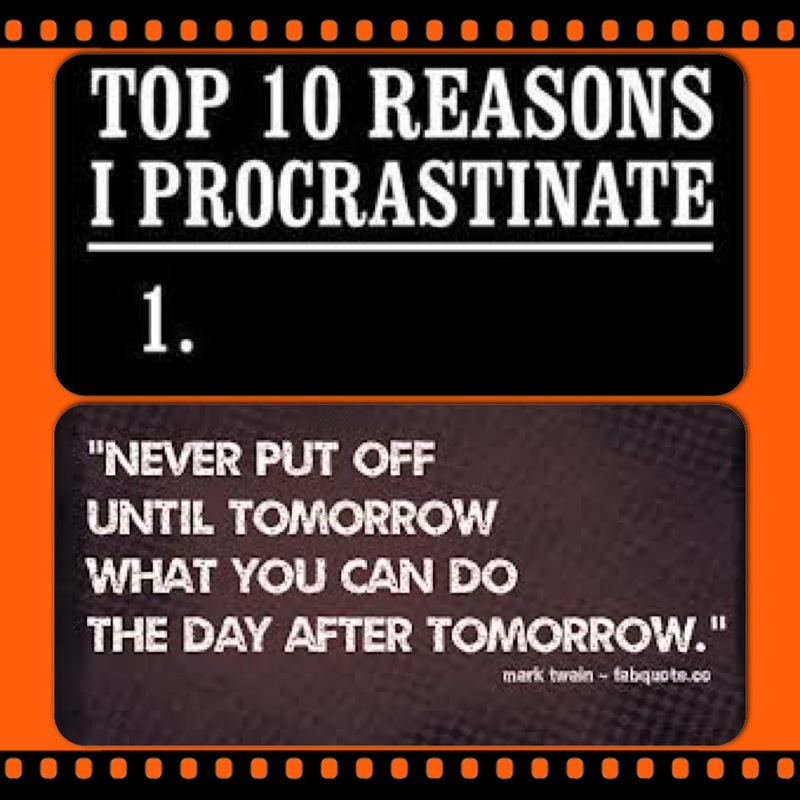 So, the story today is how to avoid procrastinating. Pick a goal, stick to it, and let your brain and hands do the rest for you. For example, in my juvenile mind, I imagined defeating this author, Christopher Paolini. You see, Christopher Paolini wrote his book at the age of fifteen, but I didn’t really like Eragon. So, my goal was to write a better book ( from my PoV and taste, of course ) and do it before the age of fifteen. I finished my first book at eleven, started another book, and got to a hundred pages before moving unto my next work. The third story I started has to be my favorite. The City of Crime ( my second work ) was my take on Asian gangsters. But my third book, the Line of Corruption, was my take on fantasy and life as a whole. However, at the middle of the book, I started procrastinating. A lot. As in, I stopped writing for about four months. Didn’t do anything in that entire four months. It wasn’t like I was busy with school, even. I just didn’t write. And when I finally came back, I’d forgotten the plot, and even the purpose of my characters. It was terrible, really. I then realized that I needed a new goal. After Xenon Bane, my original goal had been accomplished. It was done. Yet, when I thought about it, I did not write a better book than Eragon. A devious grin appeared on my face as I realized that my original goal could still be utilized, and I worked incredibly hard on my book until I was satisfied with it. That’s how I knew when I was past the original goal. When I finished my book, waited a few months, and I still looked at it fondly. With Xenon Bane, I was fond of it when I was finished it, but three months later, I never wanted to see it again. So, Christopher Paolini, I owe you a lot. You literally got me to write my first two books. Also, interesting fact. At the time, I thought Paolini wrote Eragon at the age of fourteen, even though he actually wrote it at fifteen. So, when I was thirteen, I felt like the clock was ticking. So, I have never written as much as I did when I thought I would not be able to achieve my goal. Then I found out that I had another year. I literally finished my book a few weeks before turning fourteen. In all honesty, I would’ve liked to finish it about a second before midnight on my birthday. That would have been very dramatic, and I am pretty sure there would be a movie based on my story, if so. Like I said, whatever works for you. All I know is that my old goal worked for me. Right now, my goal for writing is to get published and to take it from there. Although, my overall goal is for ten people that aren’t really close friends or relatives to read my book and like it. That would be, quite simply, great. Now, I’m going to write the third chapter of my story, Radio Silence. I’ll see you next time. P.S: I really enjoyed writing this post. I didn’t actually find that picture myself, and it was actually forwarded to me as a suggestion. I like talking about my process a lot (as you’ve all noticed from my dreadfully long ramblings), and I really love it when people Like and Comment and Follow. I’d really appreciate if you did all three. Thanks to everyone that liked my last post and then followed and then commented. That was pretty great of everyone. Thanks again!